The Samoyed is a fun-loving, happy dog that always seems to have a smile on its face. Although its ancestry is unclear, the Samoyed derives its name from the Samoyed people of the Siberian tundra. Sammies love cold weather and enjoy playing in the snow. 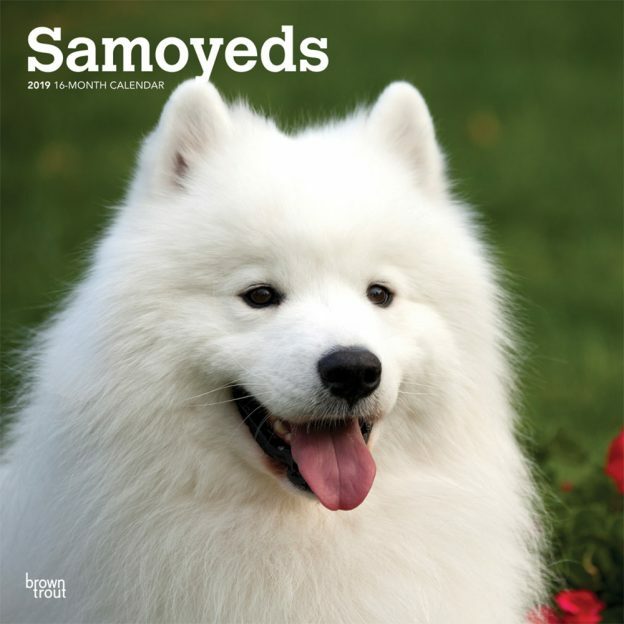 This delightful square wall calendar celebrates the fluffy and friendly Samoyed. This calendar includes a free download of the DogDays™ app for the smartphone and tablet, which grants access to the world’s most captivating dog photos and backgrounds, fun puzzles, and a calendar featuring your favorite furry friends. This entry was posted in Calendar Showcase, Dog Breed on November 4, 2018 by dogdaysapp.